It is my pleasure to host author June Moonbridge today. She has a newly released novel, Racing Heart that I’d like to tell you about. But first a bit about June’s background. June Moonbridge has many names and many faces too. 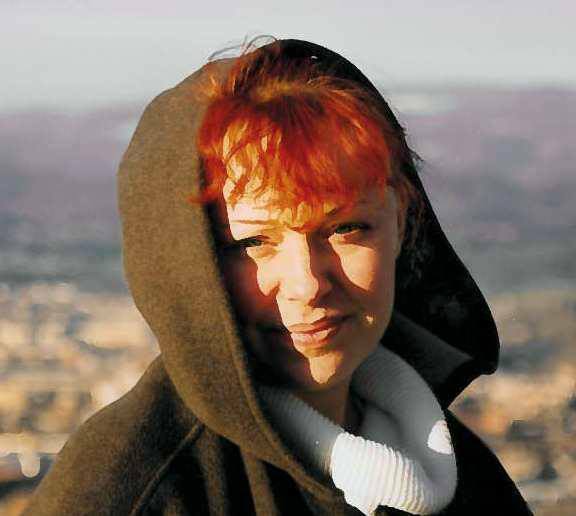 Although she stayed living in the same area, she was born and raised in one country and is now living in another. She studied economics, and quickly realised she hated it. Afterwards, she found herself working in male dominated businesses; at first in automotive and later – steel products. She can choose for you the best steel you need, but don’t, please don’t, ask her which lipstick to use. She started to write in high school and was negatively criticised by her teacher. Stubborn as she is, that didn’t stop her. Under different pen names for her stories she tried to get some independent opinions, which came back as good reviews in magazines and later she published three books. Married, and with two children, one of whom has autism, she nevertheless continued to work. These responsibilities took all of her free time. But the desire to write didn’t die. When life somehow sorted itself out, she decided to write her novel in English and her first submission to Safkhet was rejected…. For what happened later… read the third paragraph, second sentence. 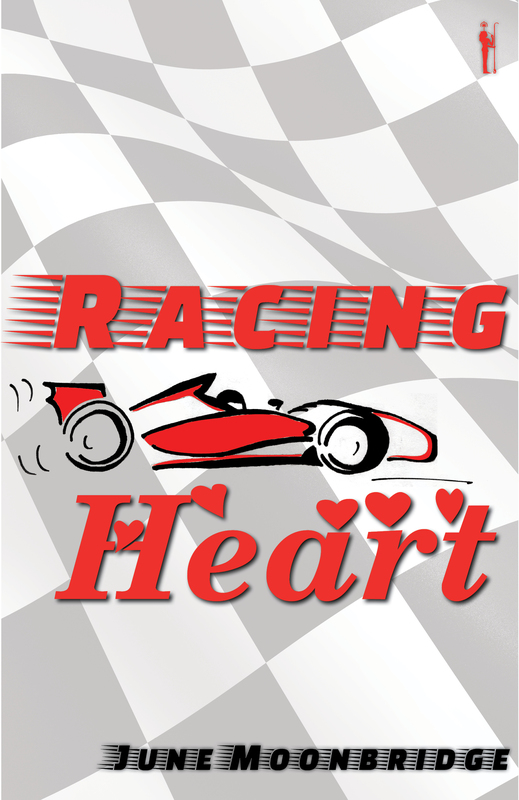 Here is the cover of her newly released book, a love and suspense drama, Racing Heart, published by Safkhet Soul. At age twenty-five, Desire Hart has experienced almost too much. Taking drastic measures and changing everything in her life; her identity, her hometown and the country of residence, she hopes her new life will help her to find her kidnapped son. Desire is determined that nothing will prevent her from achieving her goal. Not even love which has led her to skate on thin ice in the past one time too many. One spring evening she meets the golden boy of F1 racing, Lorcan Shore, and finds herself falling for him. Struggling to suppress that feeling, she realises he might help her get closer to the child she strongly believes is her long lost son. But nothing goes according to plan. In fact, everything goes wrong. Her identity is revealed by the press, Lorcan experiences a racing accident and she finds out that the trail she was given leads her to another dead end. In despair she does what she does best; she runs away. Set against the glamorous backdrops of Monaco, Paris, and Nice, “Racing Heart” mixes romance and mystery as Desire struggles to come to terms with her past and learns how to accept love into her life once again.